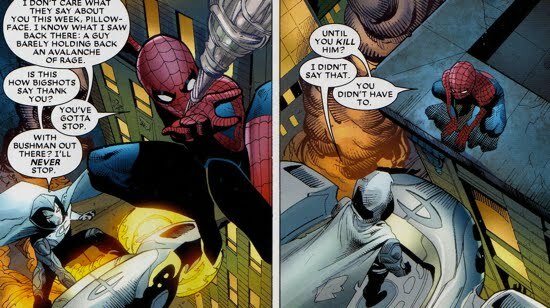 Norman Osborn had last encountered the Moon Knight while he was the director of the Thunderbolts (read below for the first encounter). Osborn got the best of Spector back then, as the vigilante was forced to fake the death of his Moon Knight persona as he escaped into Mexico. That encounter is summarized here. During Norman's tenure as director of the peace-keeping force H.A.M.M.E.R., Spector returned to New York City and began fighting crime once again as the Moon Knight. 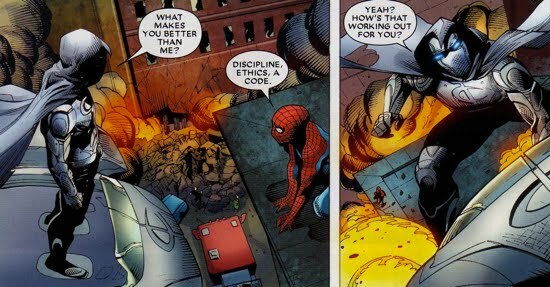 Osborn was determined to bring him down, and he enlisted the help of his cohort, The Hood. 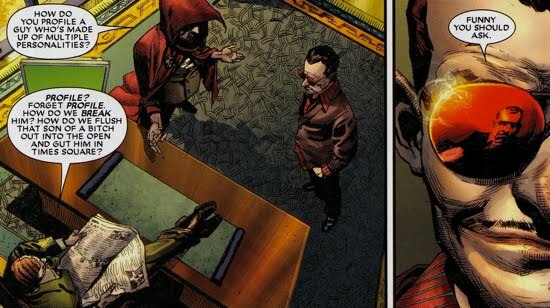 After searching the entire city and coming up empty, The Hood returned to Osborn with a new plan and a new man. The Hood brought in a mysterious man known only as The Profile to track down Spector, The Profile (believe it or not) has the uncanny ability to read people. After tracking the Moon Knight for a few days, The Profile concluded that Spector was an 'entirely different persona' and that he was somehow 'holding back his true nature'. This made the Moon Knight difficult to read, so The Profile suggested that they resurrect the Moon Knight's former foe, Raoul Bushman. Bushman failed to defeat Moon Knight, and with that Osborn's effort to catch the Moon Knight fell into the backdrop as Norman focused on more pertinent matters...Asgard. Not much. Norman failed to capture Spector and since Osborn was eventually brought to justice, he has bigger concerns to worry. Had all gone as planned, Norman certainly would have nabbed Spector and placed him prison. Another Moon Knight and Norman Osborn entanglement was featured after the conclusion of Dark Reign during a flashback featured in Vengeance of the Moon Knight #10. 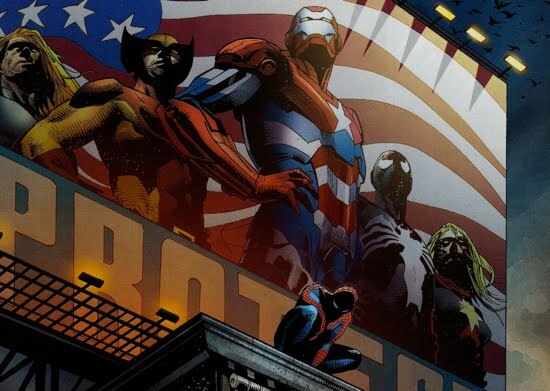 It was revealed that Osborn had shut down Project Pegasus (Potential Energy Group/Alternate Sources/United States), a research facility which also doubles as a prison for super-powered individuals. In the process of doing so, a number of dangerous artifacts went missing. The flashback implicates Osborn made some sort of deal with a band of pirates called Black Mast in which their leader Barracuda was able to obtain the Glove of Asteria. The glove can allow its owner to produce a column of air that can move at nearly the speed of light, so it is a fairly powerful weapon. 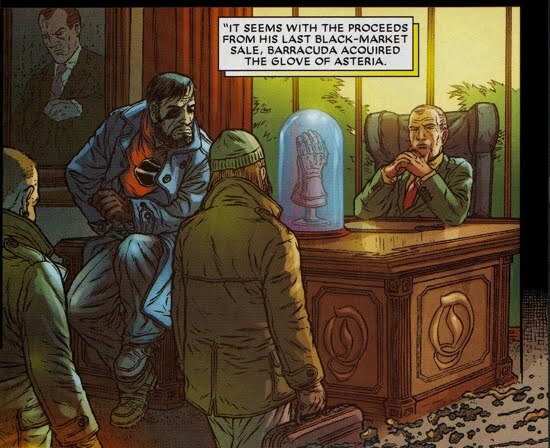 This act (the shutting down of Project Pegasus and dealing of the glove) was never depicted during Dark Reign itself, however later in Vengeance of the Moon Knight #10 we see Barracuda with the glove lending credence to this theory. Eventually the Moon Knight and the rest of the Secret Avengers are able to stop Barracuda and the Black Mast.